Kar, S.P., Jacobson, M.G. and Sunderland, T. (2016). Linkages of forest income and livelihoods of forest-adjacent people in Bangladesh. Presented at the 22nd International Symposium on Society and Resource Management: Houghton, MI USA, June 22-26, 2016. A pan-tropical study on the role of forests & environmental income in rural livelihoods’. Verbal presentation delivered by Hogarth at ‘Lessons from a Decade’s Research on Poverty: Innovation, Engagement and Impact’, Economic and Social Research Council (ESRC) and Department for International Development (DFID) Joint Fund for Poverty Alleviation Research (ESRC-DFID). Pretoria, S. Africa. 16 March. See here. Shively, G. (2015). Economic development, natural resource use and environmental reliance: evidence from global microeconomic data. Paper presented at the Annual Conference of the European Association of Environmental and Resource Economists (EAERE 21). Helsinki, Finland. June 24-27. Jagger, P. (2015). New Insights into Biomass Reliance and Human Welfare. EDRI EfD Meeting, Ethiopia. June 2015. Jagger, P. and Luckert, M. (2014). Does tenure mediate forest income? Findings from a Global Study on Forests and Livelihoods. International Union of Forestry Research Organizations (IUFRO) International Conference, Salt Lake City, USA, Oct. 5-11, 2014. Padoch, C. (2014). PEN presentation at the European Commission ‘Conference on deforestation and forest degradation in the context of climate change and biodiversity loss’, in Brussels, on 26-27 May. Moeliono, M. (2014). ‘Social Forestry, Livelihoods and Climate Change: What does the research evidence tells us?’. At the Fifth Conference of the ASEAN Social Forestry Network: “Enhancing Livelihood and Conservation Benefits from Social Forestry towards A Green ASEAN Community”. Sabah Forestry Department Office in Kota Kinabalu, Malaysia. 27-28th May. Jagger, P. (2014). ‘Environmental income and rural livelihoods: Findings from a global comparative study on forests and livelihoods’. International Symposium on the Dynamics of Coupled Natural and Human Systems, Wuhan Botanical Garden, Chinese Academy of Sciences, China: June 2nd. Padoch, C. (2014). PEN presentation at a bilateral meeting in IFAD in Rome, 25th June. Ickowitz, A. (2014). Gave a PEN presentation at the launch of ‘Forest Ecosystem Evaluation Study’ in Jakarta, Indonesia, July 1st. Organized and hosted by the UN Office for REDD+ Coordination in Indonesia – UNORCID. Wunder, S. & Hogarth, N.J. (2014). PEN: How global-comparative data can challenge conventional wisdom. Keynote presentation at the opening of the CIFOR Annual Meeting. Sept 8th. Sunderland, T. (2014). PEN presentation at the World Bank in Washington D.C., Oct 3rd. Wunder, S. (2014). Poverty Environment Network: Providing data for sustainable landscape management. The presentation given at a session of the 2014 Global Landscapes Forum titled “Knowledge products and tools for sustainable landscape management in a post-2015 development agenda“. Lima, Peru: Dec 6th. Hogarth, N. (2013). Presentation about the potential of using the PEN data for migration analyses at the ‘Workshop on Trends in Migration, Urbanization, and Remittances and their Effects on Tropical Forests and Forest-Dependent Communities’. CIFOR Campus, Bogor, Indonesia: 23 – 25 October. Shively, G. (2013). Economic development, natural resource use and environmental reliance: evidence from global microeconomic data. CIDE Workshop on Environmental and Development Economics, Mexico City, October 4, 2013. Obiri, D.B., Marfo, E., Nutakor, E., Cobbinah, J. and Treue, T. (2012). Tenure and Forest Reliance in Ghana. IUFRO-FORNESSA Congress, Nairobi, Kenya 25-29th June 2012 Nairobi, Kenya. Abstracts, pp104. Almeyda Zambrano, A.M. (2012). ‘Deforestation and development in Amazonia: A tri-national frontier study’. Oral presentation at Sustainability Science Seminar, Kennedy School of Government. Harvard University, Cambridge, USA. March 21. Duchelle, A.E., Almeyda Zambrano, A., Wunder, S., Börner, J., and Kainer, K.A. (2012). ‘Smallholder specialization strategies along the forest transition curve in southwestern Amazonia.’ Oral presentation at PEN session “Poverty-Environment Linkages in Tropical Forest Bioeconomies: Evidence from Global Data”. International Conference of Agricultural Economics (ICAE), Foz do Iguaçu, Brazil. August 23. Rahman, S.A., Rahman, M.F., and Sunderland, T. (2011). ‘Increasing Tree Cover in Degrading Landscapes: ‘Integration’ and ‘Intensification’ of Smallholder Forest Culture in the Alutilla Valley, Matiranga, Bangladesh’. The 8th World Congress of the International Association for Landscape Ecology “Landscape Ecology for Sustainable Environment and Culture”, 18-23 August, Beijing, China. p. 440. Babigumira, R. (2011). Quantifying the value of forest commons: evidence from a global comparative study. Oral presentation in the Panel: Lessons and Limitations of Comparative Research on Forests and Forest Commons. IASC, Hyderabad, India, 11th January. Exploring the forest-poverty link: new research findings. University of East Anglia, Norwich, UK. June 13-14, 2011. Angelsen, A. (2011). ‘The economic contributions of forests to rural livelihoods: a global analysis’. Oral presentation at the PEN Science Workshop: ‘Exploring the forest-poverty link: new research findings’. University of East Anglia, Norwich, UK. June 13-14. Kar, S.P., Jacobson, M. and Sunderland, T. (2011). ‘Forest income and livelihoods of forest-adjacent people in Bangladesh’. Oral presentation at the PEN Science Workshop: ‘Exploring the forest-poverty link: new research findings’. University of East Anglia, Norwich, UK. June 13-14. Prado Córdova, J.P. (2011). ‘Rural income and forest dependence in highland Guatemala’. Oral presentation at the PEN Science Workshop: ‘Exploring the forest-poverty link: new research findings’. University of East Anglia, Norwich, UK. June 13-14, 2011. Chilongo, T. (2011) ‘Forest income and poverty dynamics in Malawi: Evidence from Chimaliro and Liwonde forest reserves’. Oral presentation at the PEN Science Workshop: ‘Exploring the forest-poverty link: new research findings’. University of East Anglia, Norwich, UK. June 13-14, 2011. Sunderland, T. (2011). ‘Gendered use of forest resources: a global analysis’. Oral presentation at the PEN Science Workshop: ‘Exploring the forest-poverty link: new research findings’. University of East Anglia, Norwich, UK. June 13-14. Bakkegaard, R.K. and Nielsen, M.R. (2011). ‘Poverty-environment relationships in the Democratic Republic of Congo: Are we asking the right people?’ Oral presentation at the PEN Science Workshop: ‘Exploring the forest-poverty link: new research findings’. University of East Anglia, Norwich, UK. June 13-14. Wunder, S. (2011). ‘Safety nets, gap filling and forests: a global-comparative perspective’. Oral presentation at the PEN Science Workshop: ‘Exploring the forest-poverty link: new research findings’. University of East Anglia, Norwich, UK. June 13-14. Hegde, R. (2011). ‘Idiosyncratic income shocks and Miombo woodland resource use: A household level study in Mozambique’. Oral presentation at the PEN Science Workshop: ‘Exploring the forest-poverty link: new research findings’. University of East Anglia, Norwich, UK. June 13-14. Pouliot, M. (2011). ‘Are West Africa’s forests of any importance to people living around them?’ Oral presentation at the PEN Science Workshop: ‘Exploring the forest-poverty link: new research findings’. University of East Anglia, Norwich, UK. June 13-14. Jagger, P., Luckert, M., Lund, J., Obiri-Darko, B., Reyes-García, V. & Sunderlin, W. (2011). ‘How does tenure affect forest reliance and poverty reduction?’ Oral presentation at the PEN Science Workshop: ‘Exploring the forest-poverty link: new research findings’. University of East Anglia, Norwich, UK. June 13-14. Belcher, B. (2011). ‘Market access and forest use: a global perspective’. Oral presentation at the PEN Science Workshop: ‘Exploring the forest-poverty link: new research findings’. University of East Anglia, Norwich, UK. June 13-14. Babigumira, R. (2011). ‘Deforestation: another forest product for the poor?’ Oral presentation at the PEN Science Workshop: ‘Exploring the forest-poverty link: new research findings’. University of East Anglia, Norwich, UK. June 13-14. Almeyda Zambrano, A.M. (2011) ‘Deforestation and development in Amazonia: A tri-national frontier study’. Oral presentation by Duchelle, A.E. on behalf of Almeyda Zambrano at the PEN Science Workshop: ‘Exploring the forest-poverty link: new research findings’. University of East Anglia, Norwich, UK. June 13-14. Duchelle, A.E. (2011). ‘Conservation and livelihoods in community-managed forests of south-western Amazonia: the role of Brazil nut’. Oral presentation at the PEN Science Workshop: ‘Exploring the forest-poverty link: new research findings’. University of East Anglia, Norwich, UK. June 13-14. ‘Counting on the environment: the contribution of forests to rural livelihoods’. The Royal Society, London, UK. June 15, 2011. Angelsen, A. (2011). ‘The economic contributions of forests to rural livelihoods: a global analysis’. Oral presentation at the PEN Policy Conference ‘Counting on the environment: the contribution of forests to rural livelihoods’. The Royal Society, London, UK. June 15. Wunder, S., Börner, J., Shively, G., and Wyman, M. (2011). ‘Safety nets, gap filling and forests: a global-comparative perspective’. Oral presentation at the PEN Policy Conference ‘Counting on the environment: the contribution of forests to rural livelihoods’. The Royal Society, London, UK. June 15. Jagger, P., Luckert, M., Lund, J., Obiri-Darko, B., Reyes-Garcia, V. & Sunderlin, W. (2011). ‘How does tenure affect forest reliance and poverty reduction?’ Oral presentation at the PEN Policy Conference ‘Counting on the environment: the contribution of forests to rural livelihoods’. The Royal Society, London, UK. June 15. Reyes-Garcia, V., Babigumira, R., Shively, G. & Sunderland, T. (2011). ‘Gendered differentiation in the use of forest resources: Results from PEN’. Oral presentation at the PEN Policy Conference ‘Counting on the environment: the contribution of forests to rural livelihoods’. The Royal Society, London, UK. June 15. Babigumira, R., Angelsen, A., Buis, M., Bauch, S. and Sunderland, T. (2011) ‘Deforestation: another forest product for the poor?’ Oral presentation at the PEN Policy Conference ‘Counting on the environment: the contribution of forests to rural livelihoods’. The Royal Society, London, UK. June 15. Chhetri, B.B.K., Larsen, H. O. and Smith-Hall, C. (2010). Stakeholder perspectives on patterns and causes of forest crimes in Community Forestry in Nepal. Biennial Meeting of the Scandinavian Society of Forest Economics 2010. Conference article published in Scandinavian Forest Economics, 43:353-364. Chhetri, B.B.K., Larsen, H. O. and Smith-Hall, C. (2010). Poverty, inequality and forest dependence in rural Nepal. In: Proceedings of the National Conference on Forest-People Interaction, Balla, M. K. and Singh A. K. (eds), P. 76-88, Tribhuvan University, Institute of Forestry, Pokhara, Nepal. Chhetri, B.B.K., Larsen, H. O. and Smith-Hall, C. (2010). Household level importance of forest income in Nepal. Poster paper presented at XXIII IUFRO World Congress on Forests for the Future: Sustaining Society and the Environment, 23 – 28 August 2010, Seoul, Korea. Larsen, H.O., Herslund, L. Chhetri, B.B.K., Puri, L., Bhattarai, S. and Gautam, N.P. (2010). The role of forest products with increasing urbanization. In: Proceedings of the National Conference on Forest-People Interaction, Balla, M. K. and Singh A. K. (eds), P. 59-65, Tribhuvan University, Institute of Forestry, Pokhara, Nepal. Lund, J.F., Bhandari, N.S., Baral, K., Kharel, K., Chhetri, B.B.K., Nielsen, Ø.J., and Upadhyaya, C.P. (2010). Equity in Community Forestry in Nepal. In: Proceedings of the National Conference on Forest-People Interaction, Balla, M. K. and Singh A. K. (eds), P. 35-46. Tribhuvan University, Institute of Forestry, Pokhara, Nepal. Rahman, S.A., Fitriana, Y.R., and Waltz, K., (2010). ‘Forested Farmlands: A Real Agroforestry Symbiosis from Shifting Cultivation and its Evaluation towards Stable Continuous Agroforestry in South and South East Asia’. Abstract published in special issue of the International Forestry Review ‘Forests for the Future: Sustaining Society and the Environment. XXIII IUFRO World Congress, 23-28 August 2010, Seoul, South Korea’ (editors: John A. Parrotta and Mary A. Carr). Vol. 12(5):215. Duchelle, A., Almeyda Zambrano, A.M., N. Hoyos, M. Marsik, E. Broadbent, and K.A. Kainer (2010). “Conservation in an Amazonian tri-national frontier: patterns and drivers of land cover change in community-managed forests.” Taking Stock of Smallholder and Community Forestry: Where do we go from here? (Montpellier, France; oral presentation). Pouliot, M. (2010) Relying on nature’s pharmacy: a case study of households’ dependency on medicinal plants in Burkina Faso’s central plateau. SSFE Conference, Gilleleje, Denmark. May 2010. Pouliot, M. (2010). Relying on nature’s pharmacy in Central Burkina Faso. IUFRO Conference, Seoul, South Korea. August. Babigumira, R. (2010) Counting on the Environment: the contribution of forests to rural Livelihoods. An overview of CIFOR’s PEN project. Presented at UNDP/UNEP Poverty and Environment Initiative Africa Regional Economic Forum, Nairobi, 8-11 November. Bakkegaard, R.K., Smith-Hall, C. and Nielsen, M.R. (2010). Forest income contributions to livelihoods in western Democratic Republic of Congo. Babigumira, R. (2010). Quantifying the role of forests in poverty alleviation: Preliminary results from the PEN dataset.Oral presentation. Olsen, C.S., Larsen, H.O., Meilby, H., Nielsen, Ø.J., Rayamajhi, S. and Herslund, L. (2009). Empirically based analysis of household-level adaptive capacity in the Central Himalaya. A conference paper for Climate Change: Global Risks, Challenges and Decisions 10 – 12 March 2009, Copenhagen, Denmark. Duchelle, A., Almeyda Zambrano, A.M., N. Hoyos, M. Marsik, E. Broadbent, and K. Kainer (2009). Uso y cobertura de suelo en comunidades castañeras en la región MAP. Chicago Field Museum Workshop, “Nuestra Amazonía, Nuestro Futuro Común” (Cobija, Bolivia; oral presentation). Hogarth, N.J. (2009) Forests, poverty & rural economic development in Guangxi, China. (Oral presentation) Session 5.6; Forests and poverty alleviation. World Forestry Congress; Buenos Aires, Argentina; 23rd of October 2009. Hogarth, N.J. (2009). Bamboo, poverty and rural economic development in Guangxi Province, China. (Poster) World Bamboo Congress; September 2009; Bangkok, Thailand. Jagger, P. (2009). Forest Incomes after Uganda’s Forest Sector Reform: Are the Poor Gaining? Conference on Institutions, Behavior and the Escape from Persistent Poverty,Cornell University, Ithaca, New York, USA. Jumbe, C., Bwalya, S., and Husselman, M. (2008).The contribution of dry forests to rural livelihoods and the national economy of Zambia. Oral presentation, World Forestry Congress, Buenos Aires, Argentina. October 2009. Kar, S.P. and Jacobson, M.G. (2009). Utilization of Non-timber Forest Products in Bangladesh. Abstract published in: Piatek, K.B., B.D. Spong, S. Harrison, and D.W. McGill (2009). Seeing the Forest Beyond the Trees: New possibilities and expectations for products and services from small-scale forestry. Pp 342. Proceedings of the 2009 IUFRO 3.08 Small-Scale Forestry Symposium. June 7-11 2009, Morgantown, WV, USA. Sponsored by West Virginia University, USDA, IUFRO. Kar, S.P. and Jacobson, M.G. (2009). Poster – Utilization of Non-timber Forest products in Bangladesh: a focus on Broom grass and Menda bark. Student Summit for Sustainability (S3.Zurich), 25 January – 1 February 2009, Zurich, Switzerland. PEN (2009). Money does not grow on trees, but can trees help the poor grow out of poverty? (Poster) World Forestry Congress; Buenos Aires, Argentina; 19th of October, 2009; Poverty Environment Network, CIFOR, Bogor, Indonesia. Rahman , S.A., Fitriana, Y.R. and Waltz, K. (2009). Forested Farmlands: Forest Management by Agroforestry Symbiosis in a Land Management Framework in South and South East Asia. First World Young Earth Scientist Congress: Young Earth Scientists for Society. 25-28 October, China University of Geosciences (Beijing), P.R. China. Pp. 109. Tieguhong J.C. and Zwolinski, J. (2009). Household livelihoods in the Sangha Tri-national park of the Congo Basin. Tri national of the Sangha. Sixth annual meeting of scientific support team ‘Sangha group’ Ndjembé, Tanzania, from July 27 to August 03, 2009. Wyman, M. and Stein, T. (2009). Integrating Social and LULCC Data to Assess Community-Based Conservation: A Study of the Community Baboon Sanctuary, Belize. (Poster) World Forestry Congress; October 2009; Buenos Aires, Argentina. “Assessing the role of tropical forests in poverty alleviation” at the XIII World Forestry Congress “Forests in development: a vital balance”. 18 – 23 October 2009, Buenos Aires, Argentina. Hogarth, N.J. (2009). 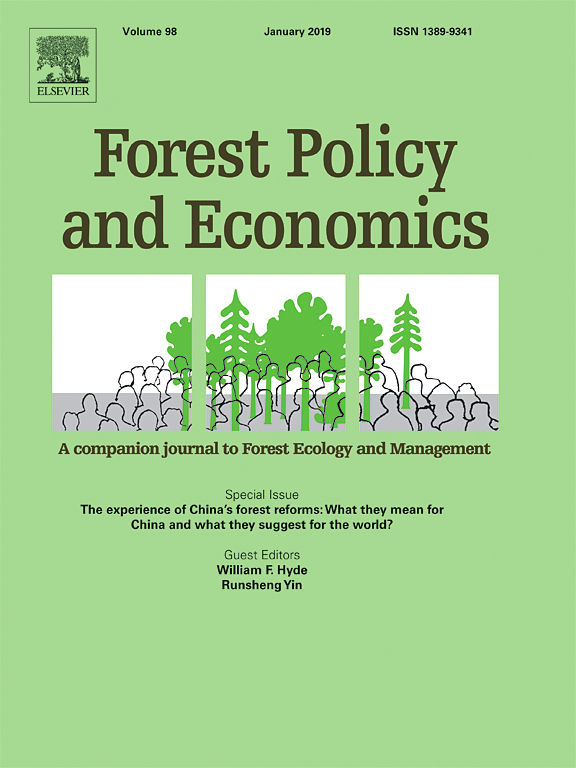 Forest income and dependency in Guangxi Province, China. Poverty Environment Network Side Event: Assessing the role of tropical forests in poverty alleviation. XIII World Forestry Congress “Forests in development: a vital balance”. Buenos Aires, Argentina. 19 October. Uberhuaga, P. (2009). Forest income and economic dependency on forest resources in the Bolivian lowlands. Poverty Environment Network Side Event: Assessing the role of tropical forests in poverty alleviation. XIII World Forestry Congress “Forests in development: a vital balance”. Buenos Aires, Argentina. 19 October. Duchelle, A. (2009). Forest dependency in the Brazilian and Bolivian Amazon. Poverty Environment Network Side Event: Assessing the role of tropical forests in poverty alleviation. XIII World Forestry Congress “Forests in development: a vital balance”. Buenos Aires, Argentina. 19 October. Obiri-Darko, B.D. (2009). Do forests contribute to rural livelihoods in Ghana? Poverty Environment Network Side Event: Assessing the role of tropical forests in poverty alleviation. XIII World Forestry Congress “Forests in development: a vital balance”. Buenos Aires, Argentina. 19 October. Pouliot, M. (2009). Environment-poverty linkages in West-Africa: Household dependence on renewable natural resources in Burkina Faso. Poverty Environment Network Side Event: Assessing the role of tropical forests in poverty alleviation. XIII World Forestry Congress “Forests in development: a vital balance”. Buenos Aires, Argentina. 19 October. Misbahuzzaman, K. (2008). Village Common Forests of Chittagong Hill Tracts in Bangladesh: a harbor of forest health and vitality in the degraded landscape. In: Sim HoekChoh (ed. ), International Union of Forest Research Organizations (IUFRO) World Series Volume 24, book compiled from paper presentations in the Asia and the Pacific Forest Health Workshop- Forest Health in a Changing World, organized by IUFRO and Forest Research Institute of Malaysia (FRIM) held on 1-3 December 2008 Kuala Lumpur, Malaysia, pages 30-32. Duchelle, A. (2008). “Tips for surviving PEN data collection, entry and cleaning: Lessons learned from Bolivia and Brazil. PEN-Danida Analysis Workshop (Phnom Penh, Cambodia; oral presentation). Duchelle, A. and Babigumira, R. (2008). “Descriptive analysis of forest dependency in the Brazilian and Bolivian Amazon.” PEN-Danida Analysis Workshop (Phnom Penh, Cambodia; oral presentation). Duchelle, A. and C.V. Gomes. (2008). “Competing land uses among forest extractivists in the Western Amazon: Brazil nut production, cattle ranching or both?” In panel: Experiments in Sustainability: Cultural, economic, and political dimensions in the Western Amazon. 55th Annual Meeting of the Southeastern Council of Latin American Studies (SECOLAS) (Tampa, Florida; oral presentation). Jagger, P. (2008). Renegotiated Property Rights and Livelihood Outcomes after Uganda’s Forest Sector Reform. 12th Biennial Conference of the International Association for the Study of the Commons. Cheltenham, UK. July 14-18. Jagger, P. (2008). What Should We Really be Asking? A Comparison of Methods for Understanding Rural Livelihoods. 12th Biennial Conference of the International Association for the Study of the Commons.Cheltenham, UK. July 14-18. Jagger, P. (2008). Forest Sector Reform and Rural Livelihood Outcomes in Western Uganda. 12th Biennial Conference of the International Association for the Study of the Commons. Cheltenham, UK. July 14-18. Uberhuaga, P. and Olsen, C.S. (2008). Can we trust the data? Wyman, M. and Stein, T. (2008). Integrating Social and LULCC Data to Assess Community-Based Conservation: A Study of the Community Baboon Sanctuary, Belize. (Poster) Working Forests in the Tropics Conference: Partnering Research with Practice for Conservation and Development. October 2008, University of Florida. Duchelle, A. and Gomes C.V. (2008). Competing land uses among forest extractivists in the Western Amazon: Brazil nut production, cattle ranching or both? (Oral presentation) In panel: Experiments in Sustainability: Cultural, economic, and political dimensions in the Western Amazon. 55th Annual Meeting of the South-eastern Council of Latin American Studies (SECOLAS) (Tampa, Florida USA). Misbahuzzaman, K. (2008). Village Common Forests of Chittagong Hill Tracts in Bangladesh: a harbor of forest health and vitality in the degraded landscape. Asia and the Pacific Forest Health Workshop; Forest Health in a Changing World. 1-3 December 2008, Grand Seasons Hotel, Kuala Lumpur, Malaysia. Misbahuzzaman, K. (2008). Integrating community resources management practices into forest landscape restoration programs in uplands of Bangladesh. Oral presentation given at Landscape Ecology and Forest Management: Challenges and Solutions. IUFRO-8.01.02 Landscape Ecology International Conference. 16-22nd September 2008. California Garden Hotel, Chengdu, Sichuan, P.R. China. Published in conference proceedings edited by Jiquan Chen, Shirong Liu, Richard Lucas, Pengsen Sun, Raffaele Lafortezza, and Lisa Delp. Pp. 129.
managerial economics and accounting. University of Ljubljana, Ljubljana, Slovenia. May 22 – 24, 2008. Sponsored by IUFRO Unit 4.05.00 and the University of Ljubljana. Published in the Symposium Proceedings edited by Lidija Zadnik Stirn: http://www.iufro405-08.si/data/e-zbornik081201.pdf, Pp 9-16. Tieguhong J.C. and Zwolinski, J. (2008). Economic sustainability of national parks in the Congo Basin: a case study of the Sangha Tri-national Park. Oral presentation given at Emerging needs of society from forest ecosystems: towards the opportunities and dilemmas in forest managerial economics and accounting. University of Ljubljana, Ljubljana, Slovenia. May 22 – 24, 2008. Sponsored by IUFRO Unit 4.05.00 and the University of Ljubljana. Published in the Symposium Proceedings edited by Lidija Zadnik Stirn: http://www.iufro405-08.si/data/e-zbornik081201.pdf, Pp 72-80. Rahman , S.A., and Shein, N.N. (2008). Potentiality of Agroforestry to Poverty Reduction and Tropical Forestland Restoration in South and South East Asia. Oral presentation given at Landscape Ecology and Forest Management: Challenges and Solutions. IUFRO-8.01.02 Landscape Ecology International Conference. 16-22nd September 2008. California Garden, Chengdu, Sichuan, P.R. China. Published in conference proceedings edited by Jiquan Chen, Shirong Liu, Richard Lucas, Pengsen Sun, Raffaele Lafortezza, and Lisa Delp. Pp. 144-145. Kar. S.P. (2008). Non-timber Forest Products and Livelihood Development in CHT: an overview of primary field observation. United Nations Development Programme (UNDP), CHTDF program, Chittagong Hill Tracts, Bangladesh. June 16, 2008. Kar. S.P. (2008). Non-timber forest products for environmental and livelihoods development in Bangladesh: A case study from the Chittagong Hill Tracts. Independent University, Bangladesh. June 19, 2008. Research findings from CIFOR’s Poverty and Environment Network: 12th Biennial Meeting of International Association for the Study of Commons (Cheltenham, England). Duchelle, A. (2008). Conflicts over natural resources in the Western Amazon: Implications for community management of non-timber forest products. Oral presentation in the session ‘Research findings from CIFOR’s Poverty and Environment Network: PART I – land tenure and property rights for forest livelihood outcomes’. 12th Biennial Meeting of International Association for the Study of Commons, Cheltenham, UK. July 14-18 2008. Prado Córdova J.P. (2008). Collective boundaries for common pool forest resources in the western highlands of Guatemala. Oral presentation in the session ‘Research findings from CIFOR’s Poverty and Environment Network: PART I – land tenure and property rights for forest livelihood outcomes’. 12th Biennial Meeting of International Association for the Study of Commons, Cheltenham, UK. July 14-18 2008. Khan, S.R. (2008). Commons becoming non-commons in the effort for reconciliation between conservation and livelihoods: A case study of northern Pakistan. Oral presentation in the session ‘Research findings from CIFOR’s Poverty and Environment Network: PART I – land tenure and property rights for forest livelihood outcomes’. 12th Biennial Meeting of International Association for the Study of Commons, Cheltenham, UK. July 14-18 2008. Misbahuzzaman, K. (2008). Are Village Common Forests (VCFs) a model for sustainable natural resources management in uplands of Bangladesh. Oral presentation in the session ‘Research findings from CIFOR’s Poverty and Environment Network: PART I – land tenure and property rights for forest livelihood outcomes’. 12th Biennial Meeting of International Association for the Study of Commons, Cheltenham, UK. July 14-18 2008. Jumbe, C.(2008). The contribution of dry forests to rural livelihoods and the national economy of Zambia. Oral presentation in the session ‘Research findings from CIFOR’s Poverty and Environment Network: PART II – forests and livelihoods’. 12th Biennial Meeting of International Association for the Study of Commons, Cheltenham, UK. July 14-18 2008. Duchelle, A. (2007). “Conflicts over natural resources in the Western Amazon: Implications for community management of non-timber forest products (preliminary results).” In symposium: Natural services in local context: Opportunities and barriers to uptake. Annual Meeting of the Association for Tropical Biology and Conservation (Morelia, Mexico; oral presentation). Misbahuzzaman, K. (2007). Importance of Traditional Indigenous Knowledge Systems for Environmental Sustainability in Chittagong Hill Tracts of Bangladesh (Oral presentation). International Conference on Environmental Education; 26-28 November, 2007; Center for Environment Education; Ahmedabad, India. Misbahuzzaman, K. (2007). Problems and Prospects of the Hilly Watersheds in Bangladesh: Priorities for their Conservation. 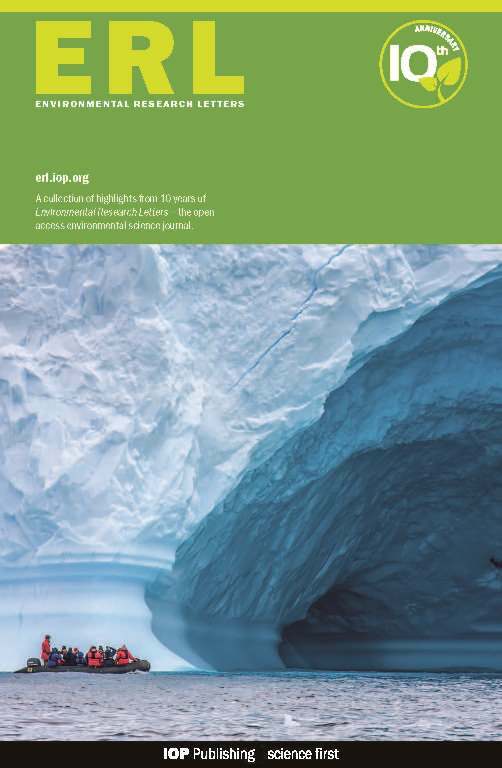 In: Gebbie, L., Glendinning, A., Lefroy-Braun, R. and Victor, M. (eds): Proceedings of the International Conference on Sustainable Sloping Lands and Watershed Management: Linking research to strengthen upland policies and practices. National Agriculture and Forestry Research Institute; Vientiane, Lao PDR; Pp. 409-415. Rahman, S.A., (2007) Sustainable Forest Management for Poverty Reduction through Agroforestry Options in the Uplands of Eastern Bangladesh (Poster). Third AIMES Young Scholars Network (YSN) Workshop ‘Modelling Land-Use Decision Making’; 2-5 June 2007, Bristol, UK.